American scientists at the Albert Einstein College of Medicine in New York have successfully identified a specific protein that plays a potentially major role in triggering the condition juvenile idiopathic arthritis. The scientists have pinpointed the human protein transthyretin (known as TTR) and have found it causes an autoimmune reaction in the joints of juveniles living with this form of arthritis and they believe their discovery could help lead the way for a new range of treatments. Juvenile Idiopathic Arthritis is the most common form of arthritis in children and it is considered an autoimmune disease which is caused by antibodies attacking proteins within a child’s own tissue. Before this study had been carried out no individual proteins triggering this immune attack had been able to be associated with this disease. However, the team has made a significant breakthrough in the identification of TTR. The scientists were looking to abnormal accumulations of proteins in both the joint fluid and blood of the patients and a significantly raised level of TTR was found in 50 different juvenile idiopathic arthritis patients whilst none was found in any of the control patients, who didn’t have the disease. This new discovery gives scientists a new target to work towards when development new treatments for this specific form of arthritis. It actually means there are treatments already on the market which could be prescribed to children living with Juvenile Idiopathic Arthritis such as tafamidis which is a drug used to target TTR and is approved in Europe to treat another condition linked to the TTR protein called familial amyloidosis. Specific testing would of course need to be conducted before it would be prescribed to juvenile arthritis patients but it opens up plenty more opportunities for research and study and ultimately better treatment. 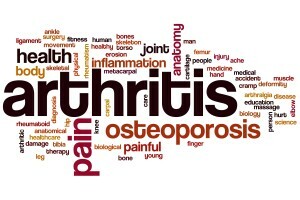 Understanding what causes a condition is essential for treating it effectively and in many forms of arthritis there is still plenty of research needed to discover the root causes and help prevent them full stop. The findings from this new study have the potential to seriously improve the quality of life for children living with Juvenile Idiopathic Arthritis and in the UK they number around 15,000. To discuss any concerns you have about arthritis and to make an appointment with Dr Stephanie Barrett please just get in touch.